We eat an absolute ton of cheese in my house. We've 4 vegetarians and 5 cheese-loving meat-eaters and can easily use 1.5kg in a week. Mature Cheddar is a firm favourite, but can get a bit safe and boring at times, so an introduction to Pilgrims Choice Crumbles has injected a little difference into our diet. 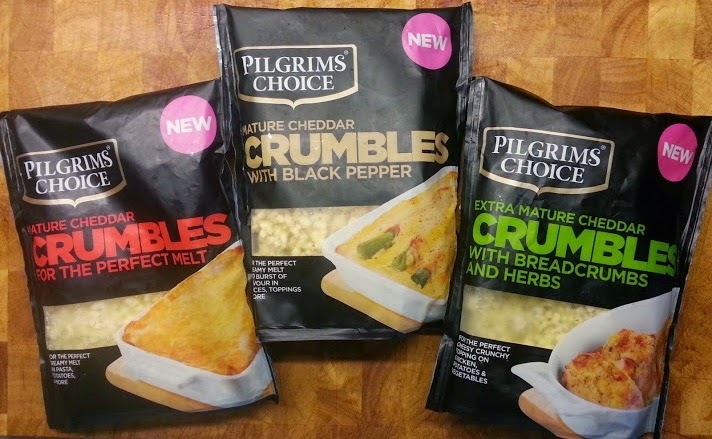 There are 3 varieties of Pilgrims Choice Crumbles, and we were sent them all to try. The difference with this cheese is that it isn't grated, it's tiny cubes designed to melt perfectly. 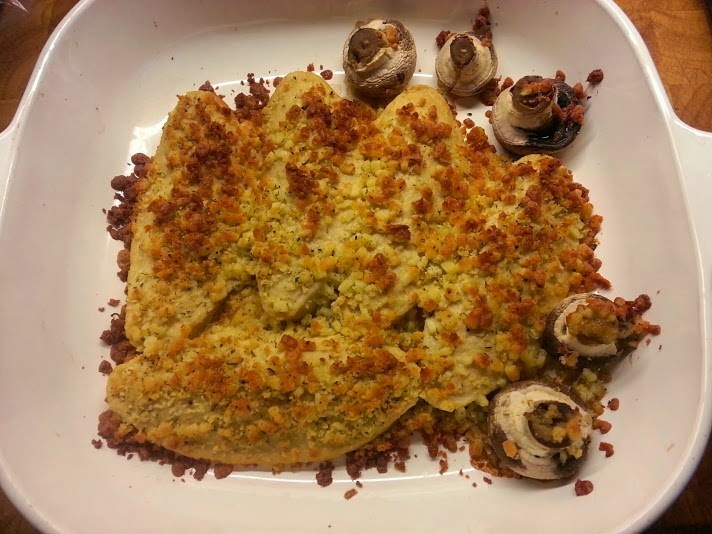 I tested out just how well the Extra Mature Crumbles With Breadcrumbs And Herbs worked by using it straight from the packet to top some Quorn fillets. Obviously you could substitute chicken or vegetables. It was so easy and quick it seemed very much like cheating! It was also incredibly popular with all of my family. I didn't add anything or prepare the food at all. Just 20 minutes in the oven. I half-cooked a couple of the Quorn fillets separately, then sliced them and fried them in a tiny bit of oil with some onion, mixed in some of the Mature Cheddar Crumbles and rolled them into wraps for my 2 youngest. 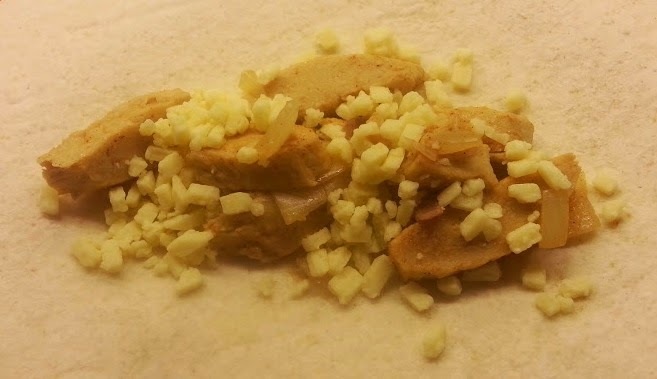 The cheese melted really nicely into the wrap and didn't go greasy or sweaty like ordinary grated cheese. 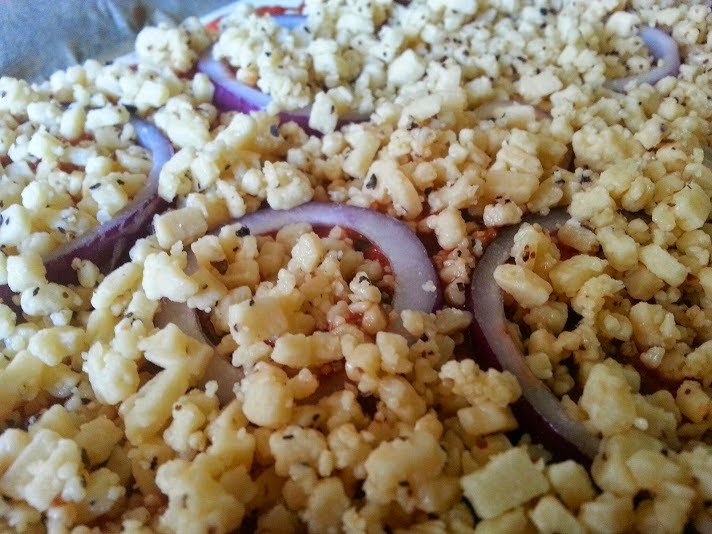 The Mature Cheddar And Black Pepper Crumbles I decided to use in a Cheat's Pizza. Fry the garlic in a little oil for a minute or two over a medium heat. If using white onion especially add it now. 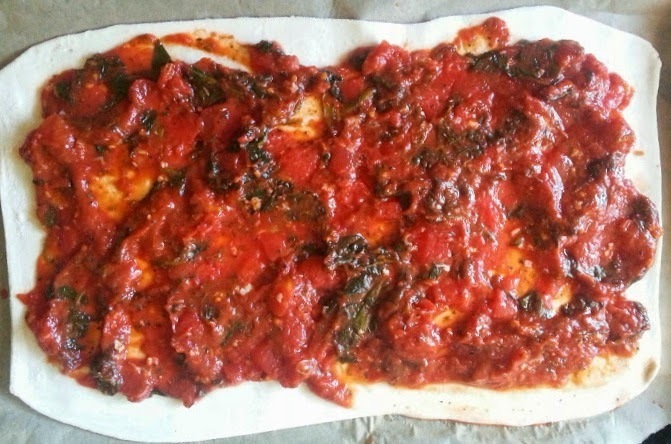 After a couple of minutes add the tinned tomato/passata, basil and oregano and bring to a simmer. 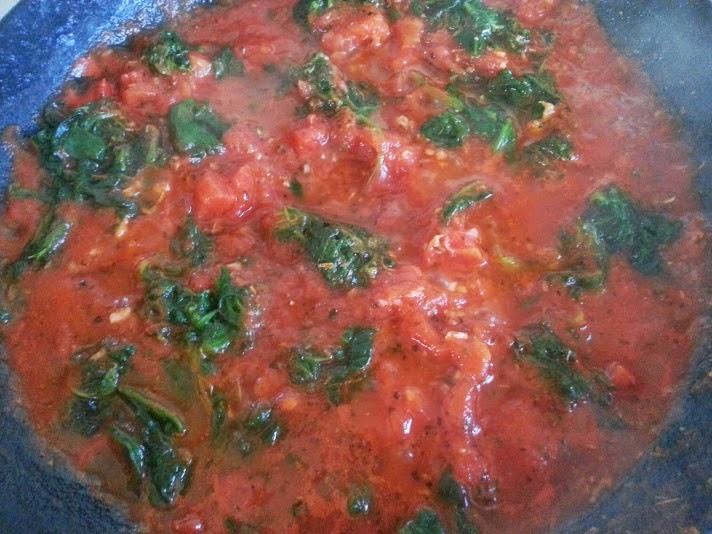 Simmer for just a couple more minutes, add the spinach. Simmer gently until your mixture isn't watery. It needs to be spreadable with the consistency of soft butter or it'll make your pastry soggy. Your mixture is a topping, and should taste fairly strong. 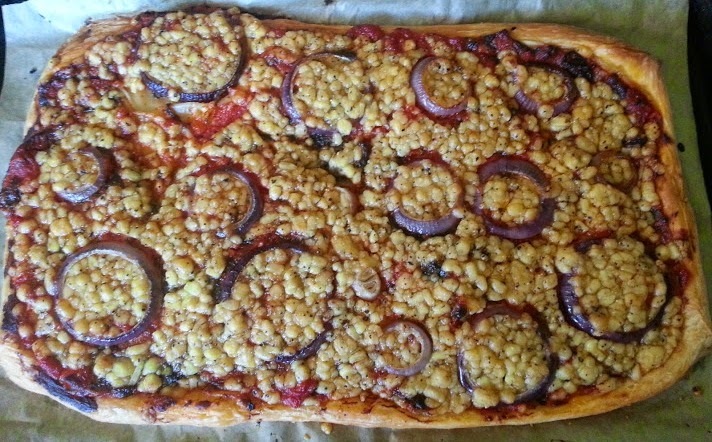 If it isn't 'tomatoey' enough - add some tomato puree now. Roll out the pastry and place on a greased or lined baking tray. 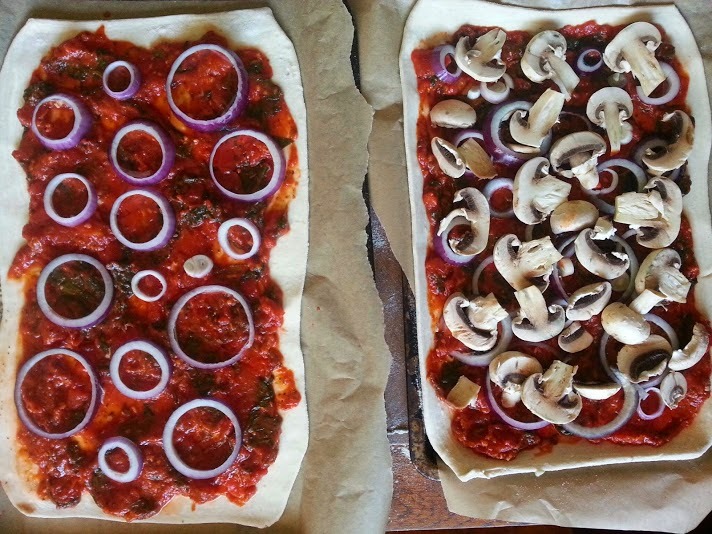 Spread with the tomato sauce leaving a good 1cm gap around the edges. 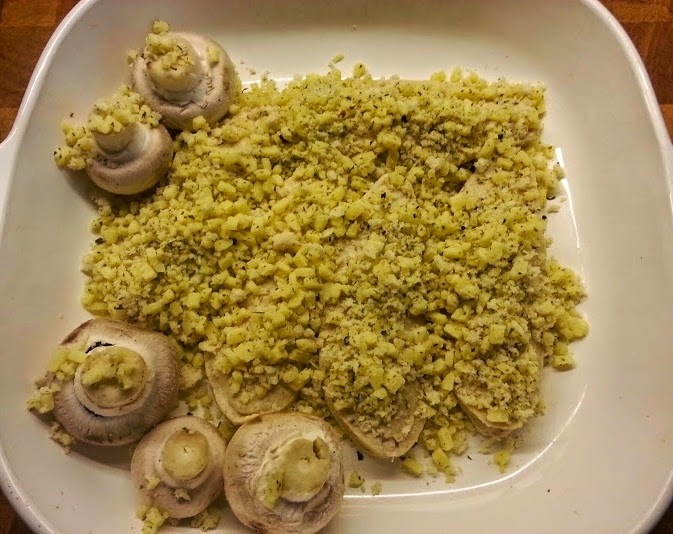 Cover the sauce mixture with any mushrooms, remaining onion or cherry tomatoes, then top with the Mature Cheddar And Black Pepper Crumbles. Cook at 200C/180C Fan/Gas 6 for 18-20 minutes until the pastry is browned and the cheese is melted. Cut into manageable pieces and serve. This was a hit with my family, it took minimum effort and the was very tasty. It did look kind of strange as the Crumbles held their shape, but is excellent if you dislike the greasiness of some cheeses as it really isn't like other standard Cheddar at all. 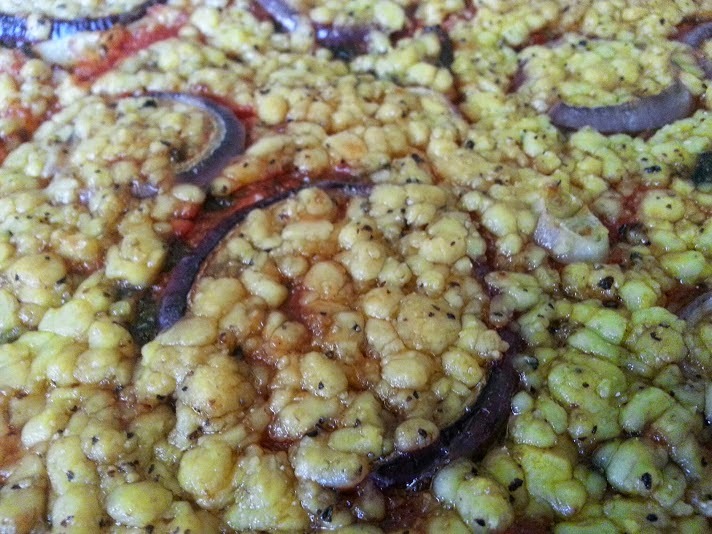 It was especially a hit with the vegetarians, and the meat-eaters felt it was a little dry. I can only think this is because vegetarians aren't used to food having tangible oil in the way that meaty burgers, bacon and some other meats have, and ordinary cheese has when it melts. 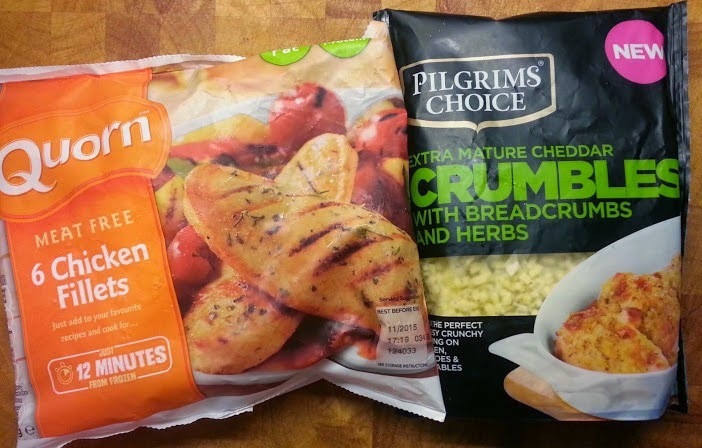 The Pilgrims Choice Crumbles were incredibly quick and easy to use, and genuinely can transform fridge staples into a meal in very little time. They currently retail at £2 for a 180g bag in Tesco and Sainsburys. We received our Pilgrims Choice Crumbles for review. They look interesting! Will give it a try as they look so easy to make a meal. save me from shredding it! They look fab!! I want to try the one with black pepper - looks divine!! We get through loads of cheese in this house, so something with a bit of variation is great! We have been trying this out too and I've been really impressed. 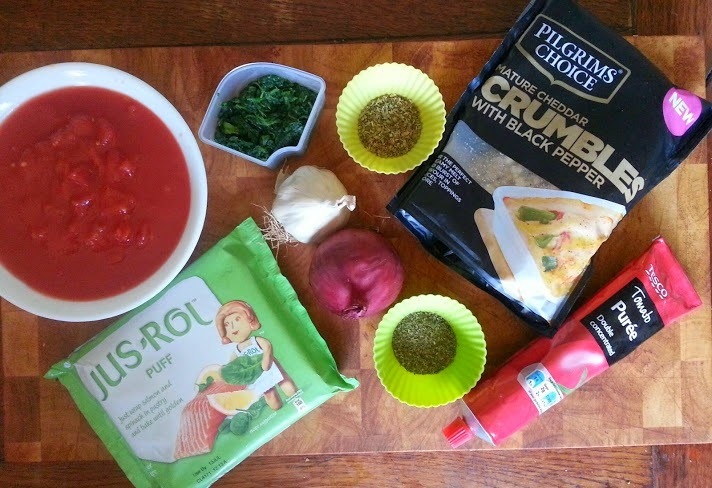 It has been great to use in cheese sauce as it melts so easily! I haven't tried them in a cheese sauce actually - I was tempted by macaroni cheese - it's a big family favourite. 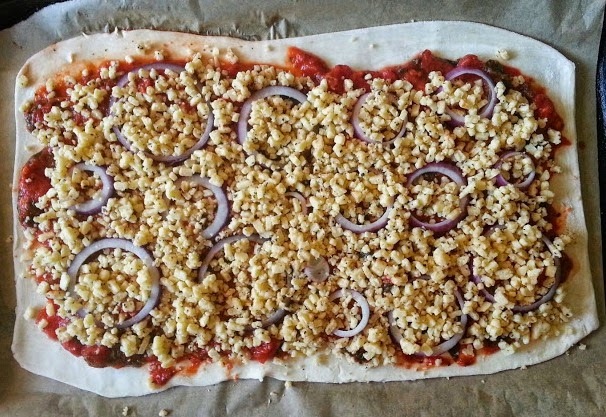 I love the cheese mixed with breadcrumbs. The perfect solution for cooking from scratch and yet saving time as well.